Charm and space abound in this Dunedin beauty, situated on an exceptional WATERFRONT, OVERSIZED .60 acre lot, making this one of the most unique properties in the area! 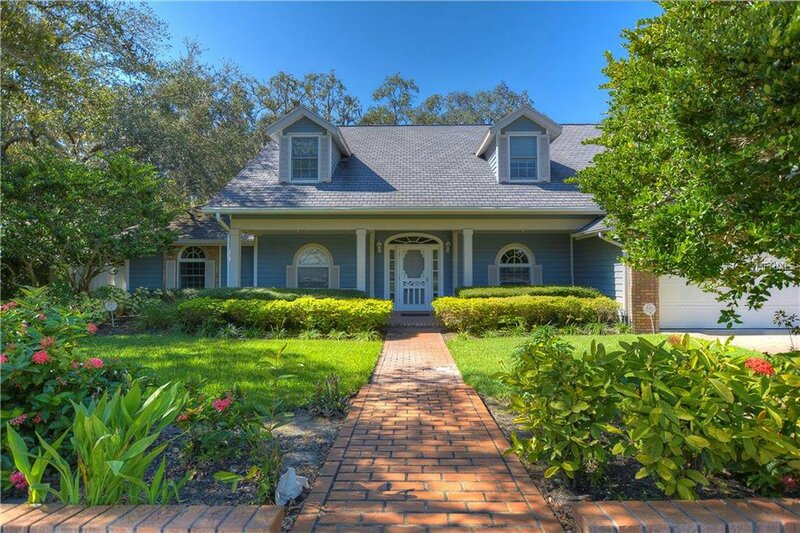 This 5br/2.5ba/3cg + POOL home offers 3299SF and it’s and entertainer’s DREAM! Enjoy the Majestic oak trees, expansive beautifully landscaped lot and peaceful VIEWS. A wide front porch welcomes you upon arrival and offers plenty of space for rocking chairs. ‘Big ticket items’ that have been recently replaced/updated include; ROOF, WATER HEATER, A/C, and GENERATOR. Spacious office was once a formal dining room and can easily be converted back! Large bonus room with access to the pool can be used as art room, yoga room, game room and much more! The master suite is on the first floor and it’s luxurious bath features a steam shower. Enjoy large WALK-IN CLOSETS throughout, a spacious laundry room, and an oversized garage with workshop! This PRIVATE backyard is a MUST SEE! Enjoy the luxurious POOL, SPA and your own Infrared Sauna! Charming Stirling Heights is conveniently located to Honeymoon Island State Park, Pinellas Trail, and popular downtown Dunedin with its restaurants, boutiques and shops. This home is unique and not your typical cookie cutter Florida home! A Must See! Listing courtesy of RE/MAX DYNAMIC. Selling Office: BHHS FLORIDA PROPERTIES GROUP.